Alexandria, La., Jan. 29, 2018 — Central Louisiana Technical Community College (CLTCC) announced today the Heating, Ventilation, Air Conditioning & Refrigeration (HVACR) program at its Natchitoches Campus has been granted national heating, ventilation, and air conditioning (HVAC) Excellence accreditation. The programmatic accreditation is good for six years, HVAC’s longest accreditation designation. Programmatic accreditation is an independent third-party review of an educational program. The process validates that established standards of excellence for HVACR are met. Meeting these standards ensures that our future workforce receives the training required to succeed in the HVACR industry. In order to pursue accreditation, campus staff had to submit a self-study filled with narratives and examples of how they complied with each of the required standards. Once completed, the self-study was sent to the HVAC Excellence accreditation review board to evaluate compliance against each standard. HVAC Excellence then sent a team to conduct an intense, onsite review of the program. The onsite team consisted of two members, one who has served as an HVACR instructor; the other as a school administrator. These onsite team members are seasoned professionals who possess the knowledge, training, and experience to successfully evaluate every aspect of an HVACR program. According to HVAC Excellence, the HVACR industry is one of the fastest growing career opportunities in the United States. This is the college’s second HVAC Excellence accreditation. The HVACR program at the Alexandria Campus received its accreditation in 2016. Central Louisiana Technical Community College (CLTCC) is a two-year technical and community college offering associate degrees, technical diplomas, industry certificates, and customized training in more than 20 disciplines to support local workforce development and prepare students for good-paying jobs. CLTCC serves 11 parishes in Central Louisiana through its nine campuses and provides instruction in three state prisons and two federal correctional institutions. For more information, visit www.cltcc.edu. Editor’s Note: See attached photo and cutline below. 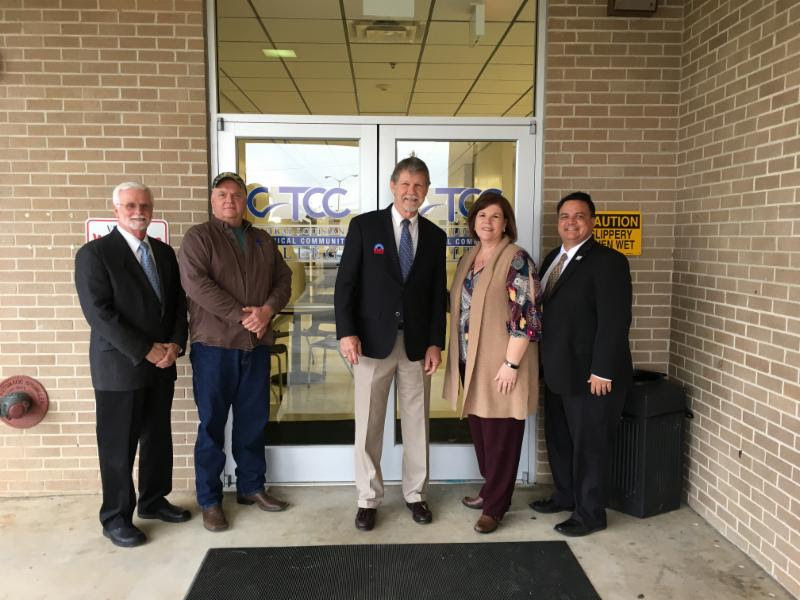 (From left to right): Steve Allen, HVAC Excellence; Randy Troutman, CLTCC HVACR Instructor; Dr. James Crisp, HVAC Excellence; Laurie Morrow, CLTCC Natchitoches Campus Dean; and Jimmy Sawtelle, CLTCC Chancellor.